Outstanding people are always different from their peers, the best compliment you can be given is when others say to you that you are different – only those who are different are going to make a difference. I am not saying be weird, but be different and stand out! John Mason put it so well “You’re born an original, don’t die a copy”, believe me we are so conditioned by our surroundings, that if we do not choose to be different we will be nothing but copies. 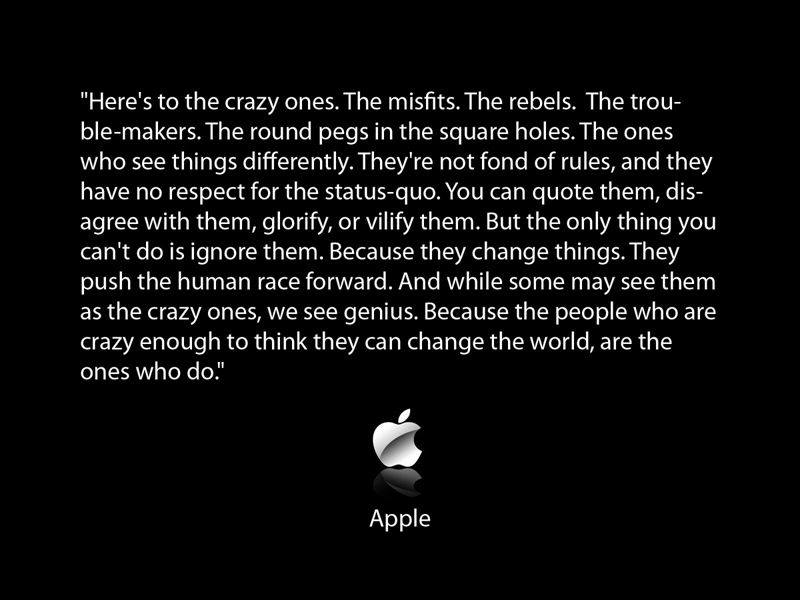 Think different, be different and stand out.